Fortunately there is no change in the most fundamental conclusion that should be drawn from the USDA’s data: our food supply and particularly the fruits and vegetable are very safe and so we can all enjoy them and benefit from their health-promoting characteristics. This is fully true for both organic and conventional options. What also remains true is that analytical chemists are capable of finding tiny trace levels of chemicals, but finding those does not mean something is dangerous. So, what has changed based on getting the data right is that the data shows a distinctly lower number of synthetic pesticide detections on organic samples (~1/4 as many). That fact has to be balanced with the reality that there are many natural pesticides commonly used on organic farms, which are not detectable with of the testing technologies used in this particular USDA program. For the most part these materials have very low mammalian toxicity, but that is also true for a great many of the synthetic pesticides that are part of the testing. Conventional farmers also use these same pest control options, but possibly not as extensively as would be needed in organic production. Again, if there was testing for these particular pesticides, it would almost certainly do nothing to change the paradigm of overall safety of the food supply. 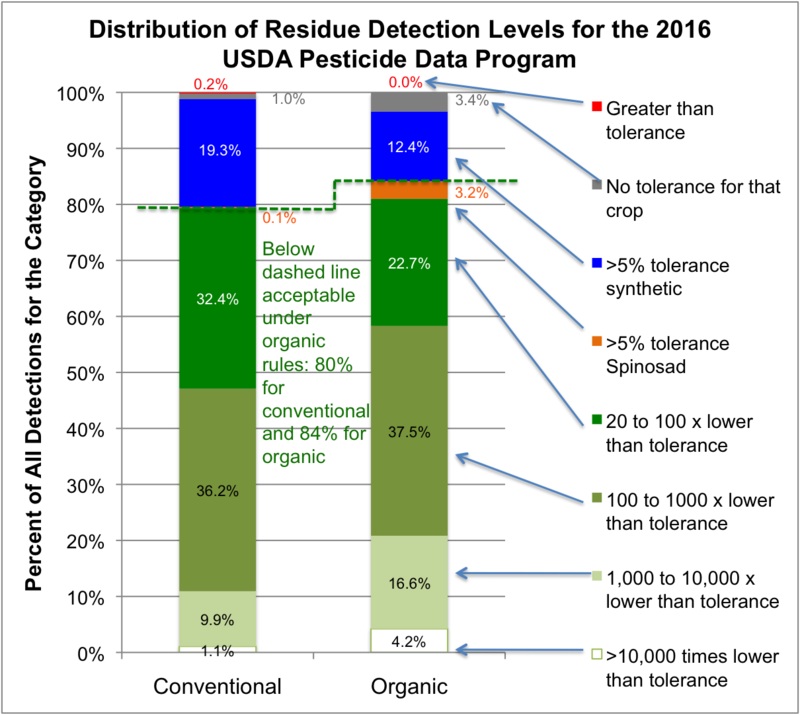 One retained conclusion that is of interest is that 80% of the residues detected on conventional crops are at levels low enough so that they would not be considered as a violation of the organic rules because they are 20 times lower than the EPA tolerance. 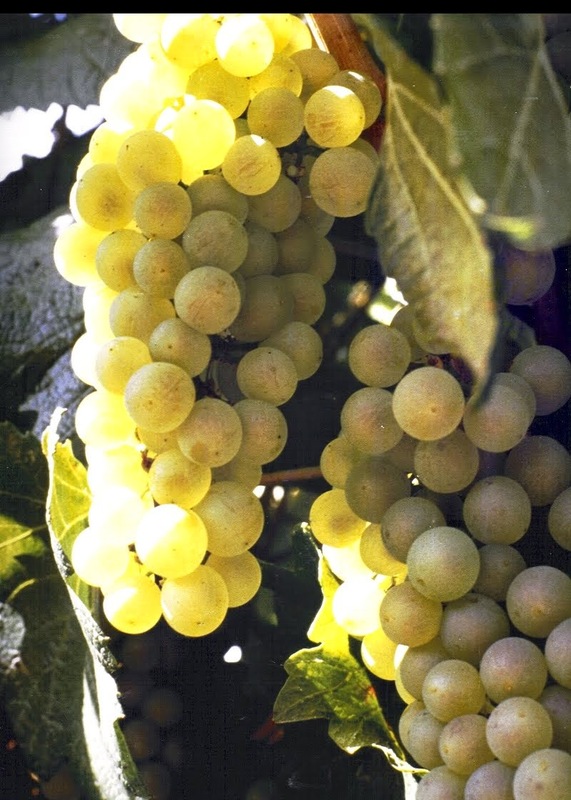 In the case of organic (for which this statistic is 84%) the assumption is that the presence of such low level residues is “inadvertent.” For conventional it means that by following the EPA label requirements, growers can even exceed the safety factors for which those requirements were designed through a rigorous risk assessment process by EPA. Finally, the Environmental Working Group’s “Dirty Dozen List” remains a misleading and science-free publication. It is corrosive for trust in the food supply and if believed, has the potential to make consumers pay more than they need to, or even worse, be less likely to consume the quantity of fruits and vegetables that health experts would recommend. Once again, I apologize for my earlier error with the data.